For 2016 our event services will offer you a fun, complete vacation package! Our registration cap is 1,750 so be sure to save your spot soon. Look for our 29th tour to be filled with camaraderie, historic sites, relaxation, and adventure! We’ve listened to your input and created something you’re sure to love. Mobile phone app with event schedule, social connections, and route information. NEW Family-friendly activities such as family camping area, family yoga, kids’ course, family-friendly routes and more! IMPROVED “No-Sweat” Shower Truck providing convenient, clean, hot showers! NEW Alpine CC offers an online booking option! On-site entertainment ranging from concerts to clinics to movies to shows suitable for everyone. **Children (Ages 11 and under) ride FREE when registered on the form of a parent or guardian. Limit one (1) child per adult registration. See Registration Policies below for more information. 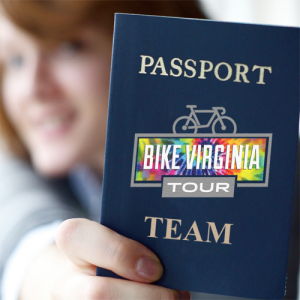 Registration is open for the June 24–29, 2016 Bike Virginia Tour “Pilgrimage”. The Shenandoah Valley from Woodstock to Harrisonburg offers great riding, beautiful scenery, warm hospitality, and easy access. Most of what you loved from the revolutionary 2015 tour returns for 2016, including the rider favorite Food Truck Fiesta! and our Double Vision format that gives you access to your car the entire time! With a staff of just five, we rely on hundreds of volunteers to make the tour run smoothly. Read about our available positions in this blog post and how you can help make this year a success! Registration for the 2016 event will open on November 15th, 2015! You’ll be sure to appreciate how streamlined and simplified the registration process is again this year. We looked over everything with a magnifying glass to make it the best it could be, along with everything else you’ve come to expect from Bike Virginia. Note: Children under the age of 12 will now be registered on the same form as their parent/guardian — no extra paperwork! Teenagers (ages 12–18) will complete their own registration form, the same as adults. 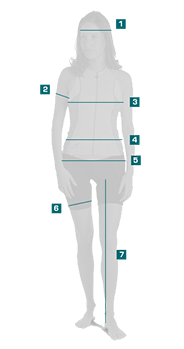 All of the information you need to get ready for the Bike Virginia Tour is on our web site. You’ll find directions to registration, the lists of hotels, reservations for special activities, what to bring, training tips and more. Visit often for updates! Cancellation requests made in writing (email) to Samer Meshreki, on or before March 31, 2016, will be refunded minus a processing fee per registration. See table below. Cancellation requests will not be honored for any reason, including medical, after March 31, 2016. There will be NO exceptions. If you must cancel, you may substitute another rider by transferring your registration. First day of the tour! The team PASSPORT is a great way to obtain a significant discount over our individual 6-DAY registration prices! And if you order one before December January 31st, that comes out to less than $75 $84 per person per day! Click here to purchase your TEAM PASSPORT today! DUE TO THE NATURE OF THE PROGRAM THERE ARE [highlight text_color=”” background_color=””]NO REFUNDS[/highlight] ON A TEAM PASSPORT AT ANY TIME AND FOR ANY REASON. This is a departure from our normal registration policy, where individual (non-team) registrations completed prior to a certain date can be cancelled and refunded minus a service fee. TEAM MANAGER ASSUMES FULL RESPONSIBILITY FOR THE PASSPORT. Don’t lose it or share it with anyone not on the team. TEAM PASSPORT MUST BE REDEEMED BEFORE ONLINE REGISTRATION CLOSES. After purchasing a passport, each team member can register at their leisure, but please be mindful of deadlines for any other promotions (i.e. 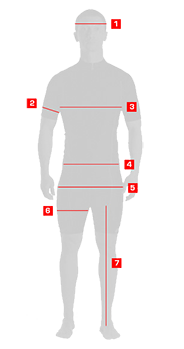 complimentary jersey) and the end of online registration (May 31st 2016). EACH TEAM NEEDS THEIR OWN PASSPORT. Team size is limited to four. If you have more than four, make another team. [highlight text_color=”” background_color=””]NEW for 2016[/highlight] Bike Virginia is a 501(c)(3) non-profit organization that relies exclusively on donations and event registrations to fund our advocacy efforts. If you make a 100% tax deductible donation at one of two levels, we are pleased to offer these highly sought after event perks to make your experience even more enjoyable. You can bring your recreational vehicle (RV) to Bike Virginia! At Woodstock (HQ1), there will be parking close by for all RV‘s but no hookups (water or electric). At Rockingham (HQ2), there will be plenty of parking for RV‘s in the Campgrounds area and hookups are available (water and electric). [highlight text_color=”” background_color=””]NOTE[/highlight] Parking at HQ2 only covers Monday and Tuesday nights — we do not have permission to stay Wednesday evening. Event ends at 5pm. Please plan accordingly. Returning for 2016, our Double Vision format gives you more riding options and NO ONE-WAY routes! Be sure to read about all the exciting changes that come with the Double Vision format.